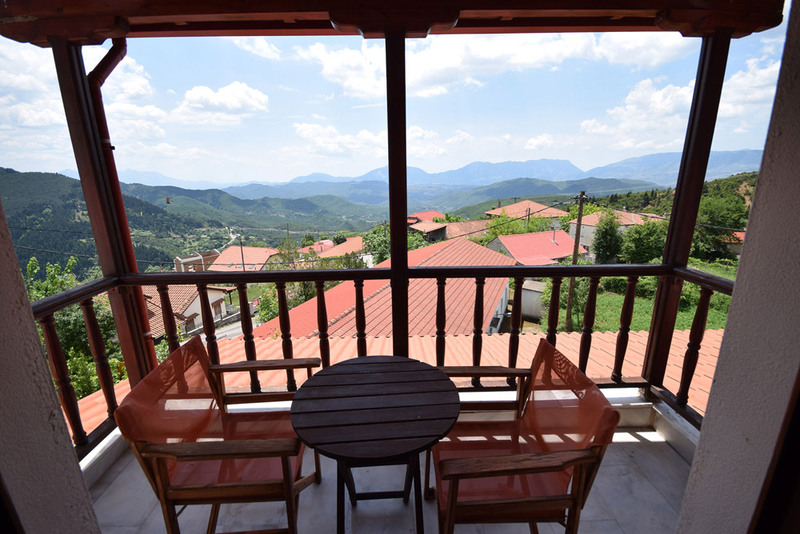 Panorama Hotel is a newly built, modern accommodation, harmonized in its surroundings. 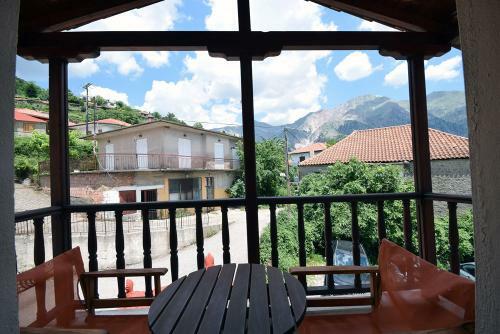 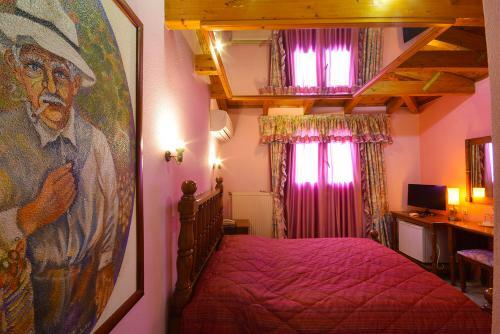 It is built in the center of the village and has 18 rooms, double and triple, with unlimited view. 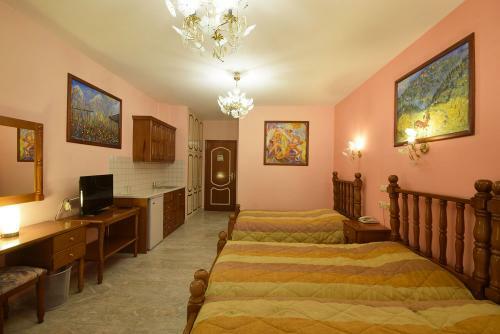 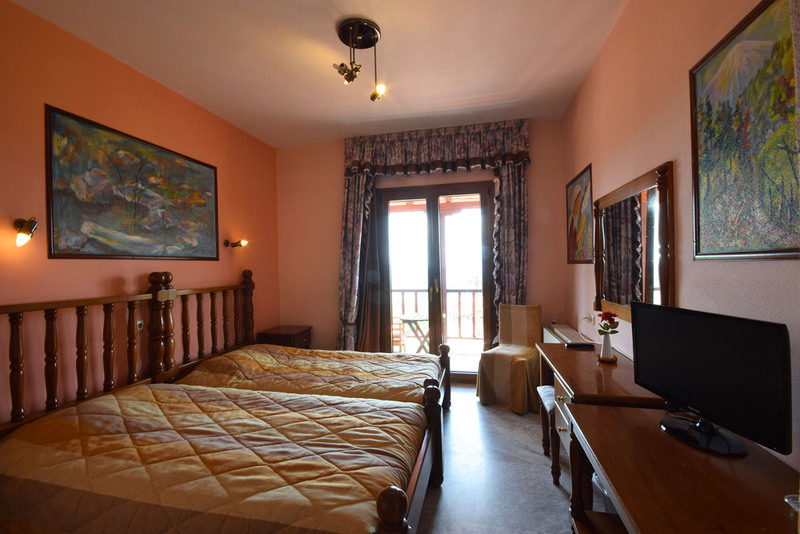 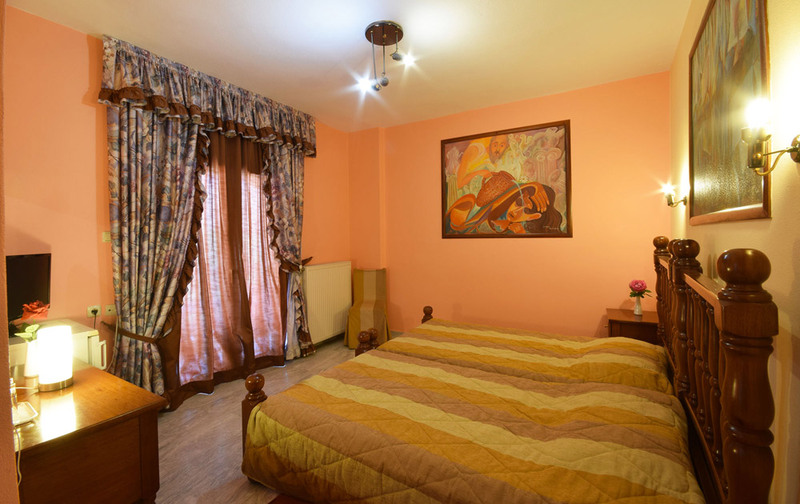 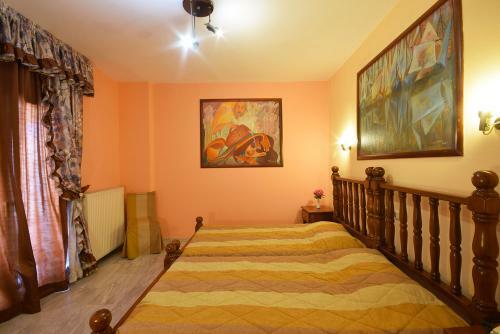 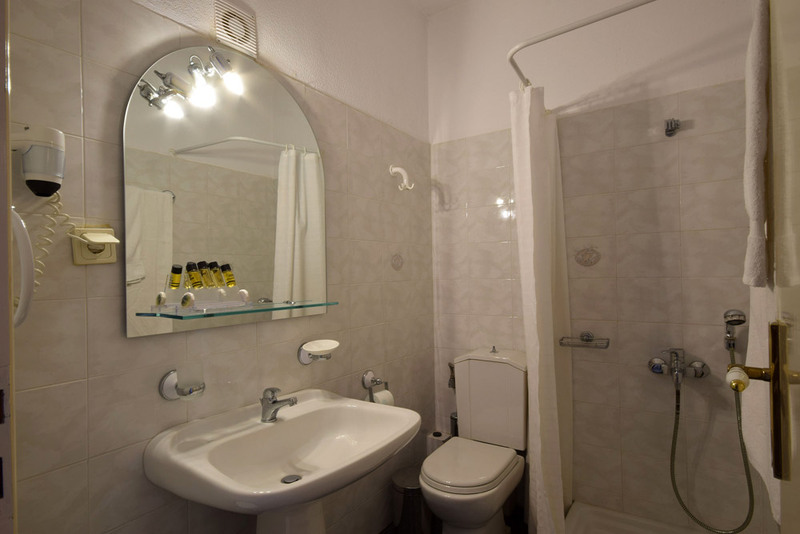 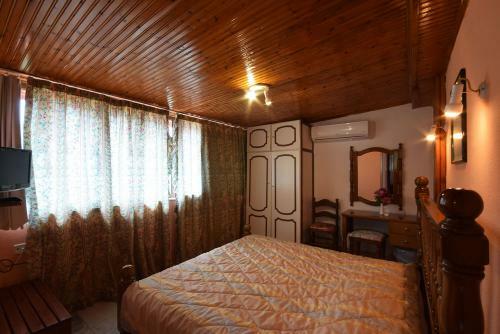 Each room is equipped with fridge, TV, telephone, safe box, hairdryer and automatic heating. 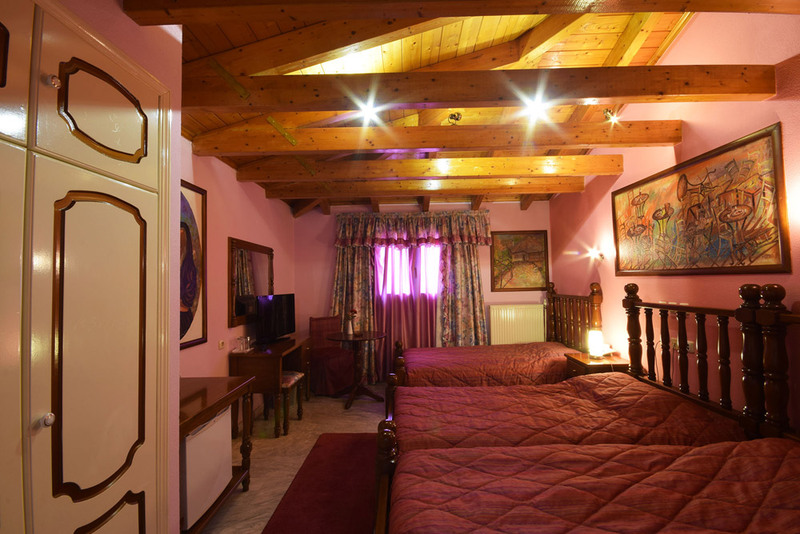 Free Wi-Fi internet access is available in the rooms and throughout the hotel. 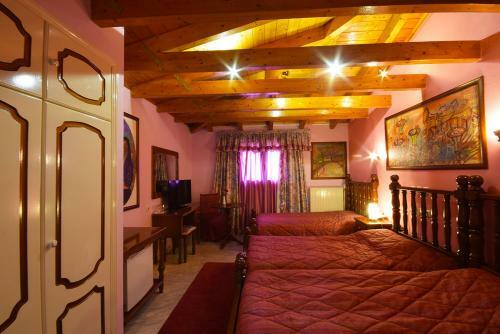 On the ground floor there is a large bar room where breakfast is served. It is ideal for quiet winter evenings next to the fireplace, while the large terrace allows for summer pleasures. 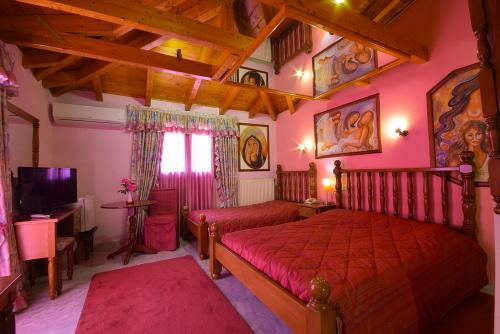 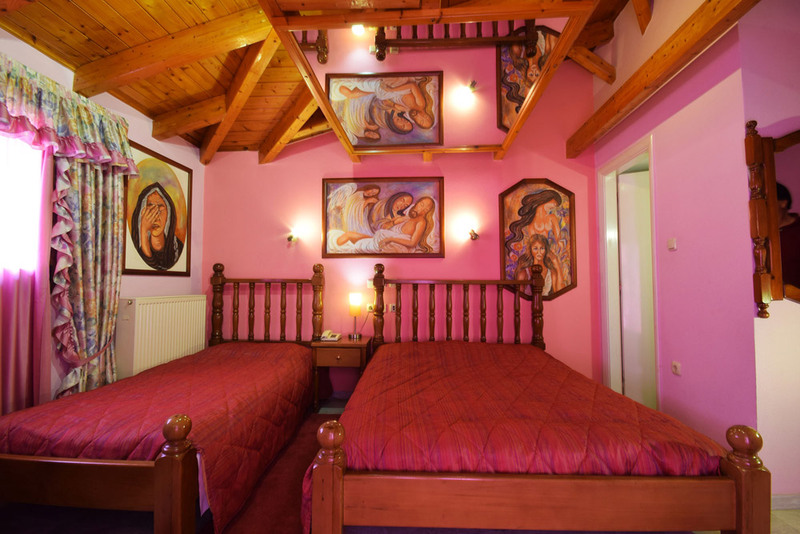 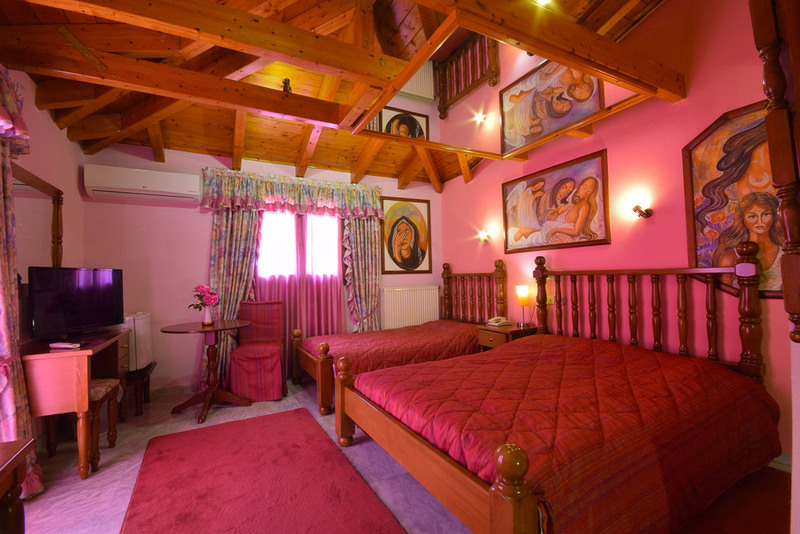 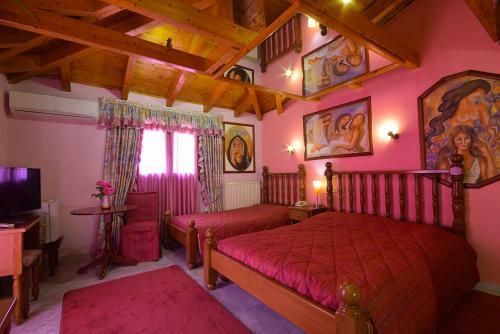 The common areas and rooms decorate unique paintings of the popular, self-taught painter Lefteris Theodorou, who lives and works in the village. 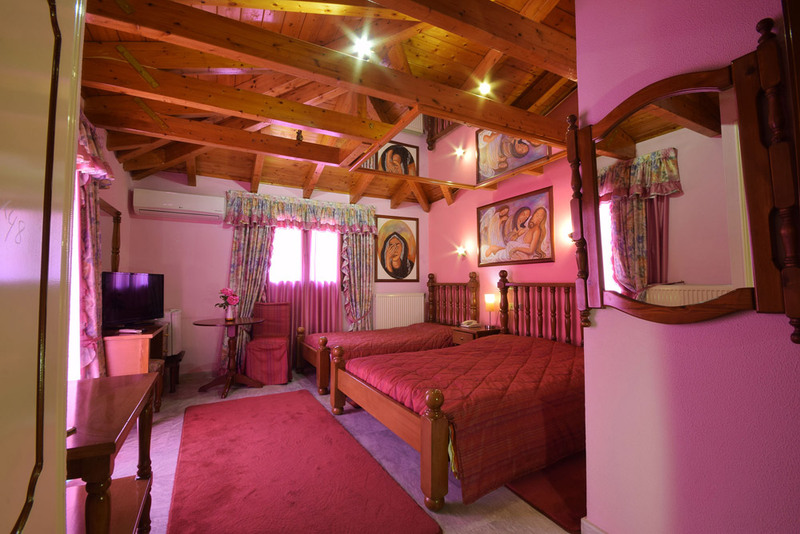 The hotel also has a parking and a children’s playground, where our little friends can play carefree. Finally, the hotel has a gift shop and souvenir shop.